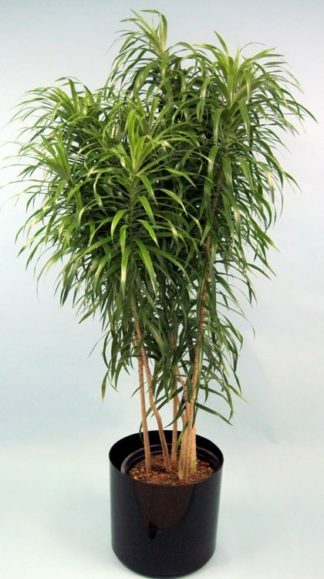 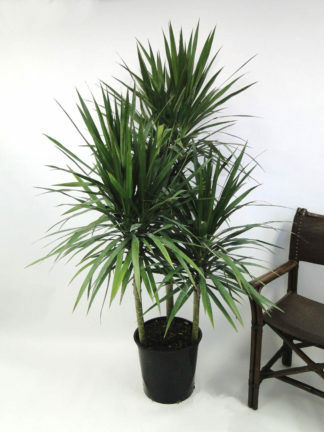 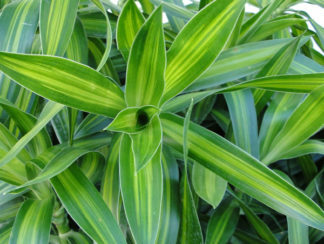 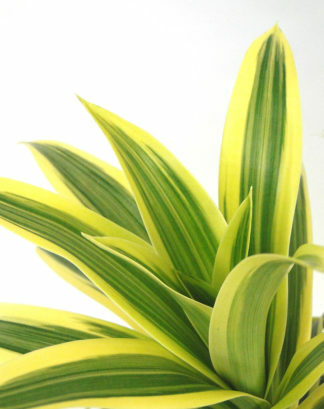 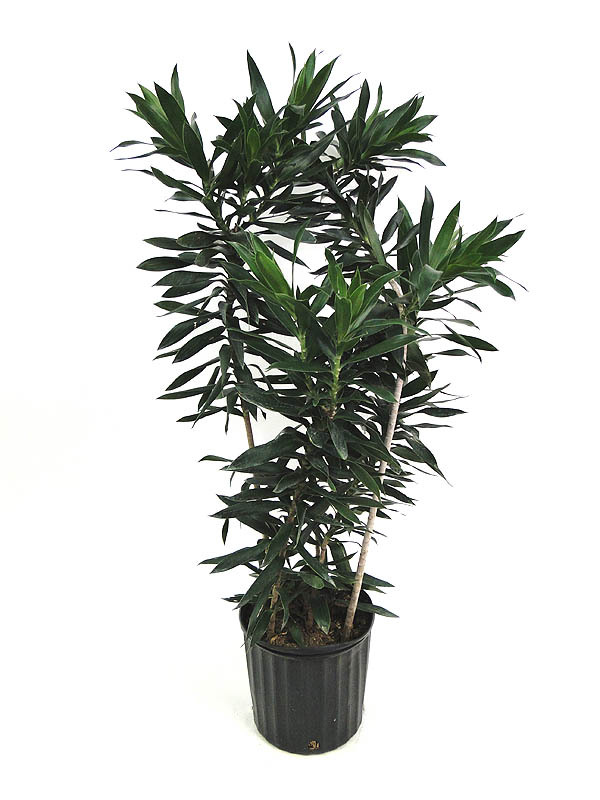 Dracaena reflexa has narrow, short, leathery clustering deep green leaves. 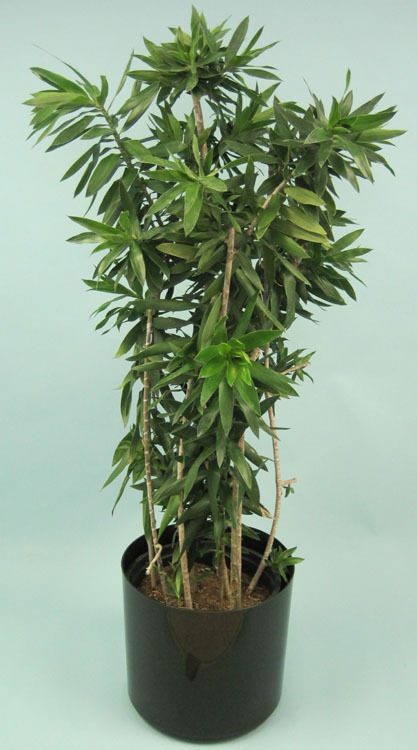 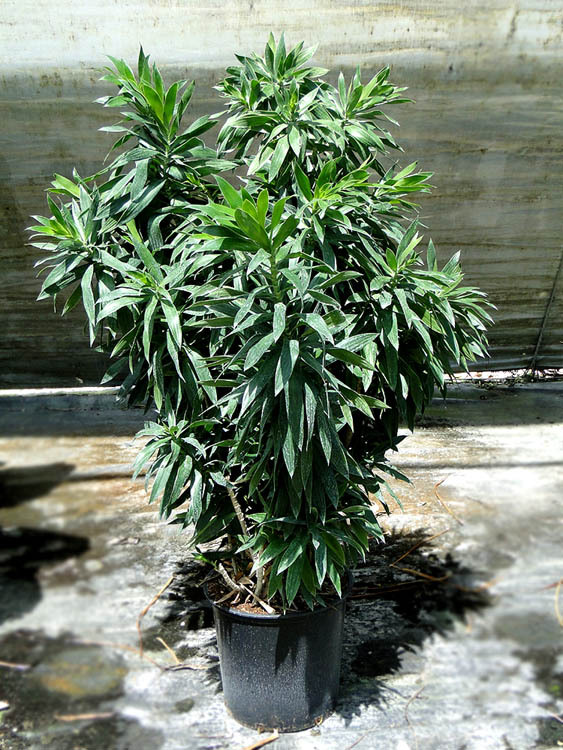 It is dense and bushy, but can reach up to 12′ in height with woody stems. A proven performer for low light interiors. 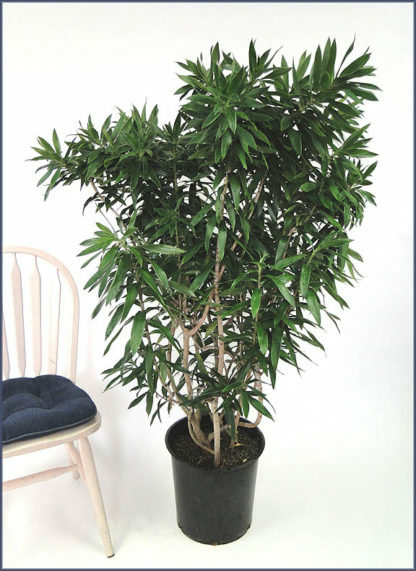 Grown in bush form or woody tree-like shapes. 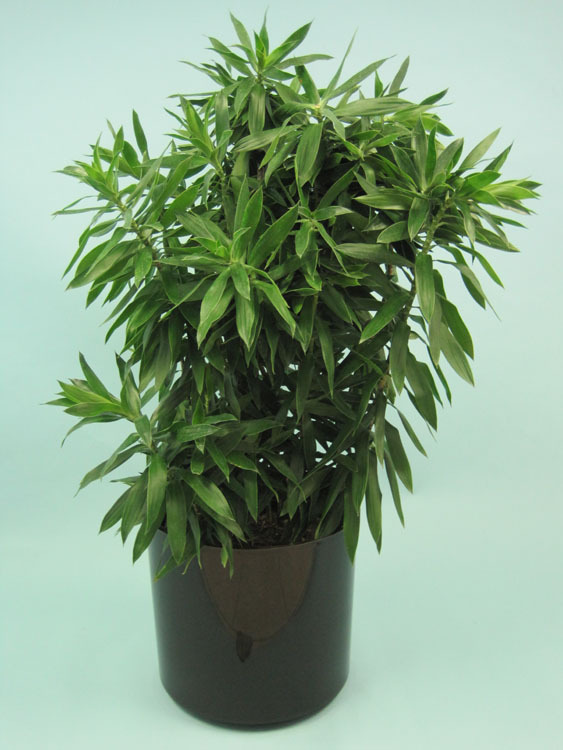 Install in bright, indirect light for best growth, but tolerates low light. 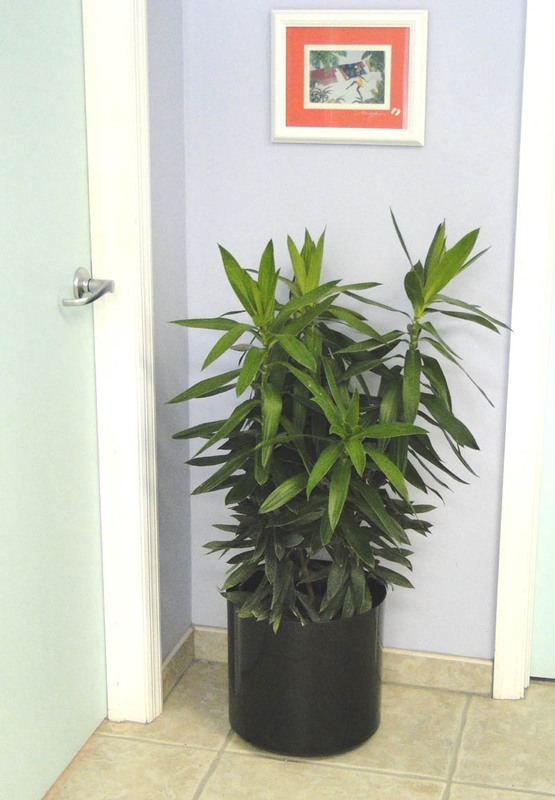 Let the soil dry out below the surface between waterings.